Since I introduced iDJ to the concept of Christmas ale/beer, he has embraced it wholeheartedly. He bought us two boxes of imported beer, plus whatever we find at Aldi or Lidl or Tesco. Shall I do most to least favourite, or vice-versa? Oh, I think worst to best, as I’m probably funnier when complaining than when I’m happy. 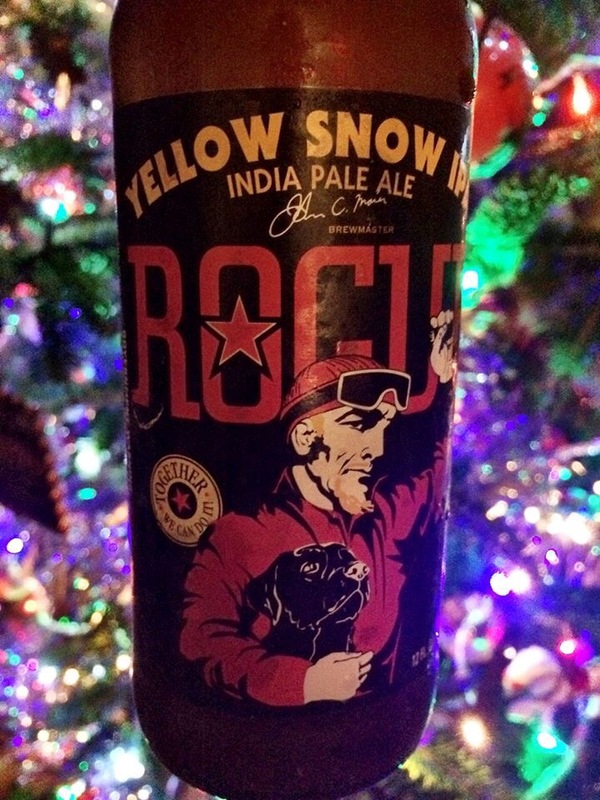 Rogue Yellow Snow IPA, 6.5%. Oregon, USA. It’s meant to be bitter and it sure is. This I could not drink at all. Every sip left me making a horrible noise at the aftertaste. It felt like I was drinking poison. I’m sorry we have two more of these to drink, because I’m not touching it. 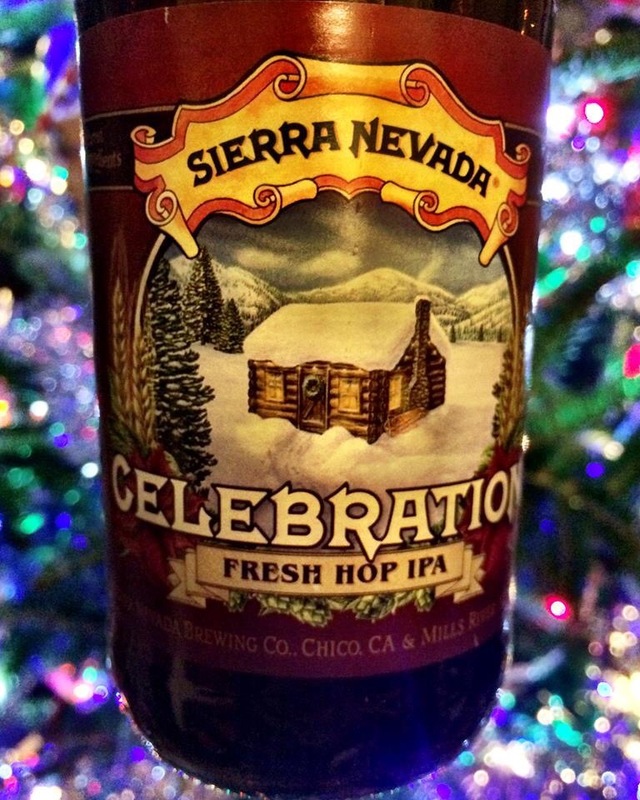 Sierra Nevada Celebration, 6.8%. California, USA. I drank it, but again it was awfully bitter and didn’t taste of much else: not very Christmassy at all. I think it is safe to say that as a general rule, I do not like IPA. Middling: From here on it gets tough, as I’d have all of these again! Bateman’s Rosey Nosey, 4.7%. From Lincolnshire, England, UK. Very easy to drink, and as we found it in Aldi, we have had more of this than any of the others so far. Not very much like a Holiday ale, but still a nice find, so try it if you can. 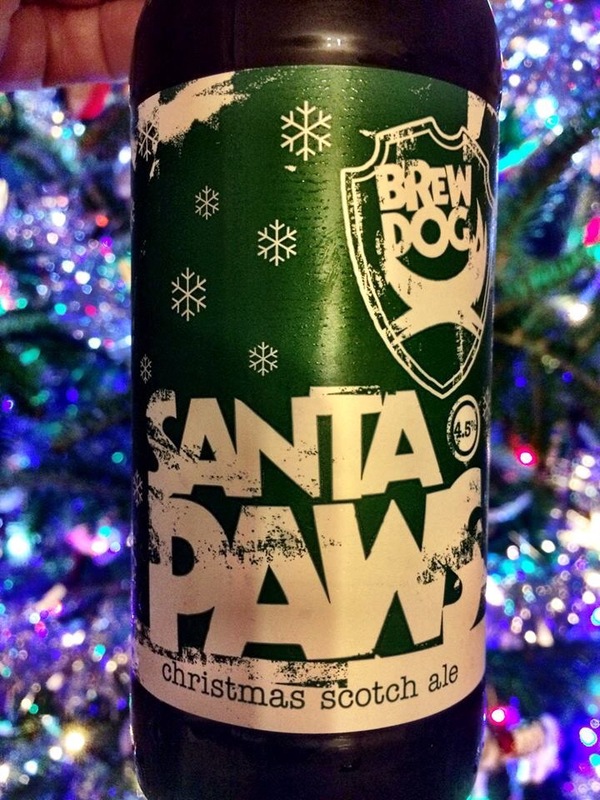 Brewdog’s Santa Paws, 4.5%. Aberdeenshire, Scotland, UK. Tasty, but not a holiday ale. Will never be made again, and I hope their next effort is better. 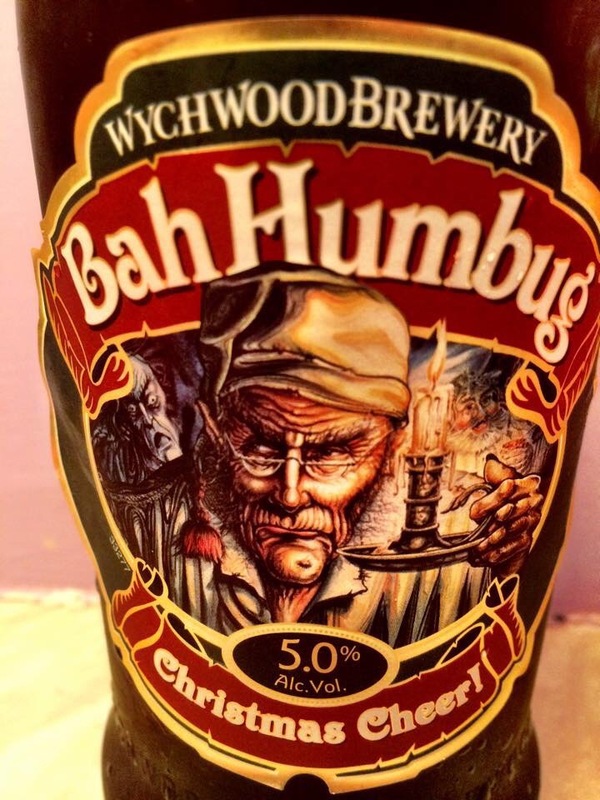 Wychwood’s Bah Humbug, 5%. Oxfordshire, England, UK. Found in Aldi, yay! Very warming on fist taste, despite the relatively low alcohol content. They did a good job on the spices. They are famous for their Hobgoblin beer, which is probably also found in the USA. Maybe. 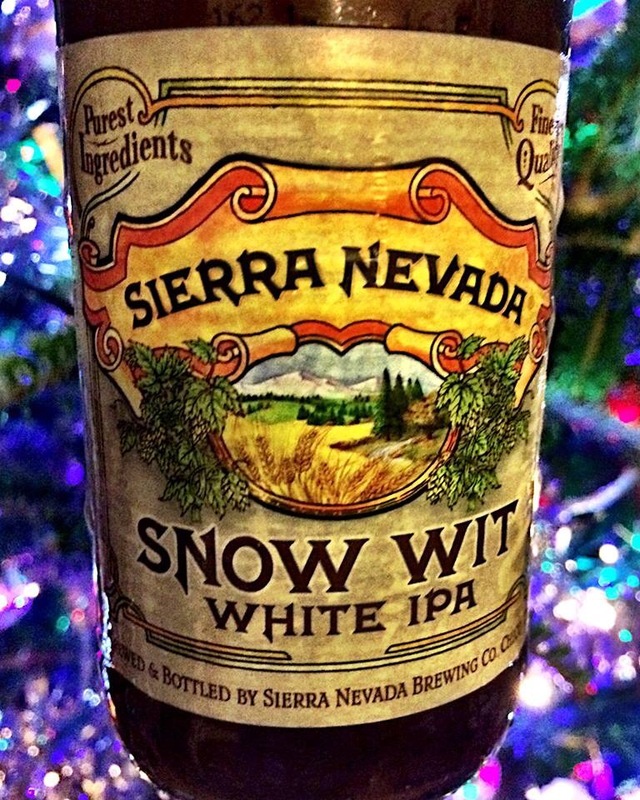 Sierra Nevada Snow Wit IPA, 5.7%. This is a Belgian-style IPA, and as such an odd combination I loved it. Like drinking a Mandarin orange. Fabulous. 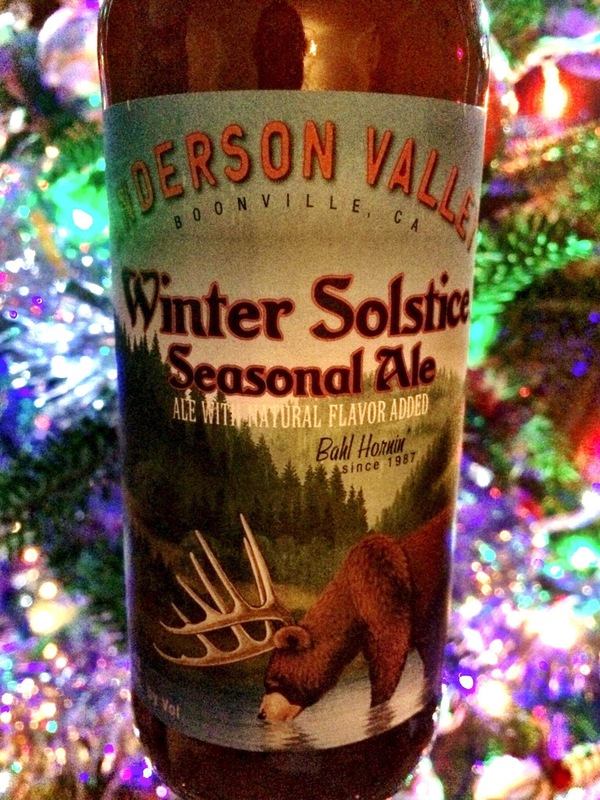 Anderson Valley Winter Solstice Seasonal Ale, 6.9%, again from California (seeing a trend here?). Had this last year but it is still just lovely. The smell of milk chocolate very time you take a sip is just wonderful. 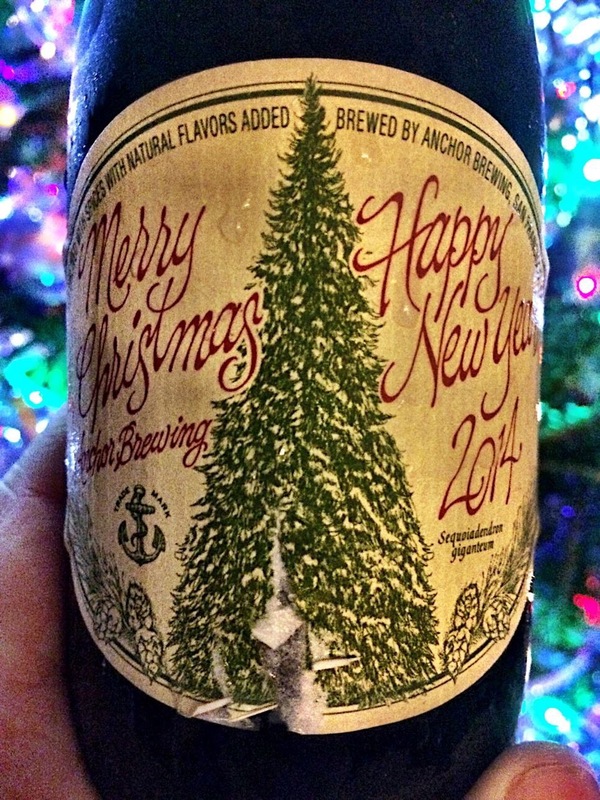 Anchor Brewing’s 2014 Christmas ale, California, USA. They have been doing this for 40 years and certainly excel at it. Very very sad the label is torn, as we are saving any labels we can to make tree ornaments. They change the tree species every year, so it is doubly sad to have it be torn on import to us in Ireland. Always always drink this on the holidays if you can. 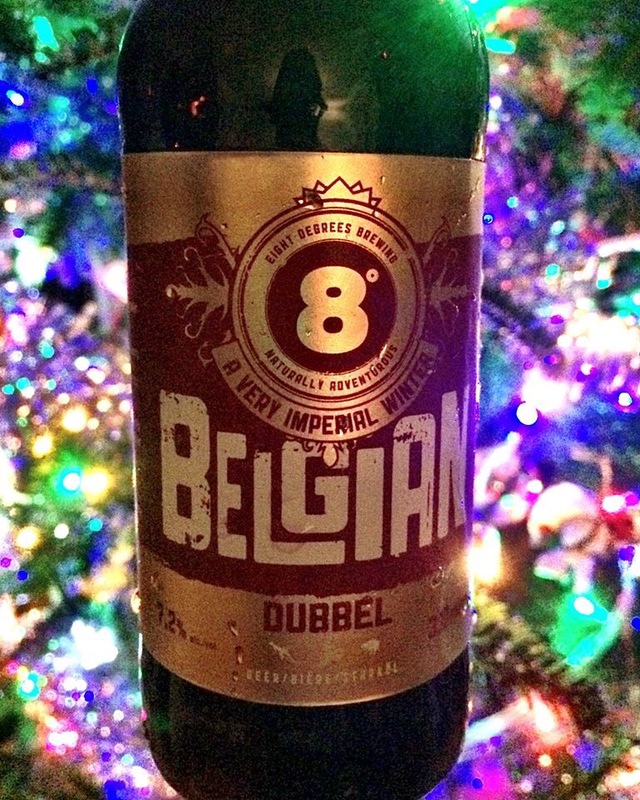 Eight Degrees’ Belgian Dubbel, 7.2%, and from Cork, Ireland! We were surprised how much we like this beer, and it seems to be our favourite. They say ‘Christmas pudding in a glass’ and they aren’t wrong. So tasty and very very much the spirit of the season in a glass. Very well done – especially considering the decades of experience other breweries have had – keep it up, lads! Hope you’re feeling better, Spidey — or pissed enough not to care. My holiday drink was Glenmorangie. Went to the hard stuff. Seems to have worked. I will drink all the IPA you don’t want. In the world. It is not beer, say I, unless you can feel the fur sprouting and yea CURLING upon your tongue. Not saying anything against Glenmorangie, mind, though it is a bit for the genteel crowd. I did like the Belgian style one, it didn’t taste like an IPA at all. I think I’m a super-taster so that much bitter just killed me. But hey, one for you to try! I do like the fact that small breweries are popping… and hopping… up all over the place. What a fun post – love the art work on the bottles. I always like that Snow Wit. 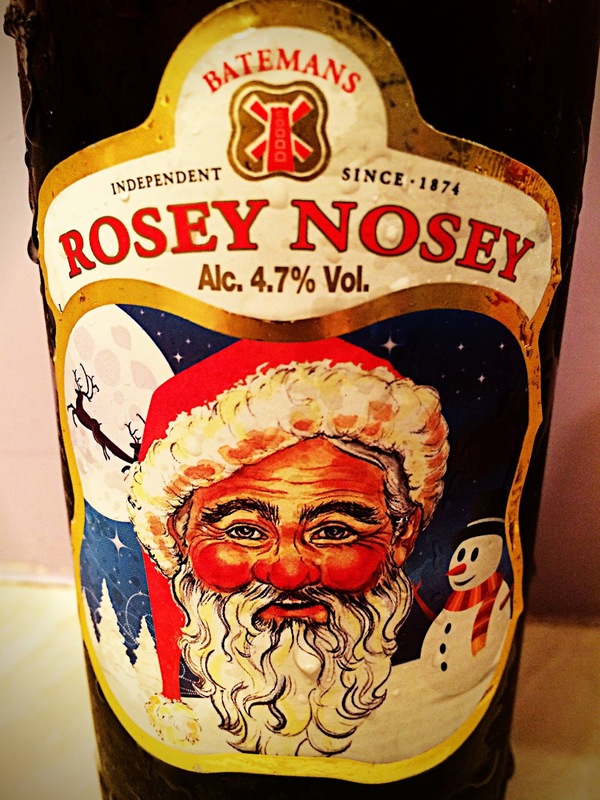 Some friend brought over some supposedly Christmas beer – but it was so horrid. Can’t remember the name and I made them take all the left overs with them! Yay, someone else who has had one of these! And one of my favourites, too. Aldi in Ohio was a kind of scary place. Very much more regular-folk shop here! I sure wish I knew what that beer reject was. I’ve been off since Dec 22, won’t be back until Jan 5. Two are extra holiday days, 1.5 were for being sick as a small hospital, and the rest are normal enforced Irish days off! Pretty cool but sadly I am still sick. I’ll have to ask about the beer. So sorry you are still not feeling better. If the fog and clouds would leave here, I might get rid of this cough and cold I’ve had since Thanksgiving. Dreadful winter weather so far…and the dog still must be walked. We broke down and took her to a fenced field to run with friends – Molly is just beside herself with boredom. She’s gotten very cooperative about walking into the shower after play and getting her feet toweled off after a walk. Dogs just want to have fun. (RC is just hibernating in the back closet – if there’s no sun, she apparently see no reason to get up. Rest up and wishing you well! Oh! I was wondering where was the alcoholic beverages review this year!! You have a wonderful new year, dear Miss Spiders! Full of alcohol and fur! We have more, too. Unfortunately I’m pretty damn sick and have been for over a week, so not been having much fun! Hope you are making up for it on my behalf! Lol that’s class, I’d probably have bought that in a shop just for the picture and the name! Your photos do make them all look very tempting!